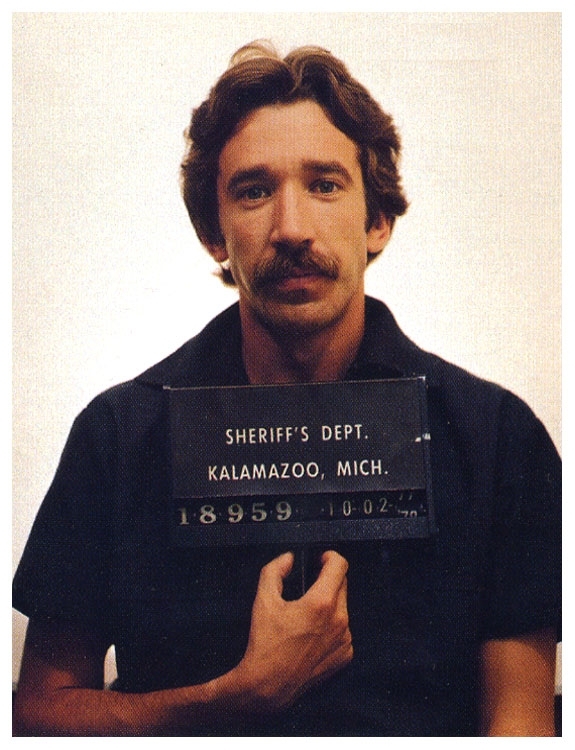 Actor Tim Allen was arrested in October 1978 while attempting to sell a large amount of cocaine to a Michigan undercover officer. Allen, 25 at the time, served about two years in federal prison following the bust. On October 2, 1978, Allen was arrested in the Kalamazoo/Battle Creek International Airport for possession of over 650 grams (1.4 lb) of cocaine. He subsequently pleaded guilty to drug trafficking charges, and provided the names of other dealers in exchange for a sentence of three to seven years rather than a possible life imprisonment. He was paroled on June 12, 1981, after serving 2 years and 4 months in Federal Correctional Institution, Sandstone in Sandstone, Minnesota. Allen had the Federal Bureau of Prisons Register # 04276-040. The experience was so bad that he was forced to turn himself around. He told Esquire, "When I went to jail, reality hit so hard that it took my breath away, took my stance away, took my strength away. I was there buck naked, humiliated ... this is a metaphor. My ego had run off. Your ego is the biggest coward." Allen became known to the public for his role on the sitcom "Home Improvement," which premiered in 1991. My grandma once told me, "Don't confuse your perceptibility with intelligence."